Poland has issued around 200,000 such cards. The number of the Pole's Cards being issued to Ukrainians has been going down, Ukraine's ambassador to Poland, Andriy Deshchytsya, has said at a meeting with journalists in Kyiv. 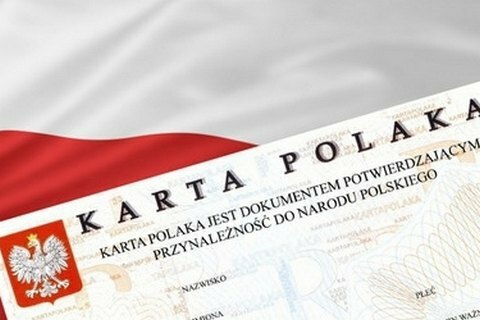 The Pole's Card, or Karta Polaka, is a document confirming one's belonging to the Polish nation. "I feel that the number of people coming from Ukraine to Polans on the Pole's Card is going down," he said. By now, Poland has issued around 200,000 such cards, according to Deshchytsya. He suggested that Ukrainians of Polish descent applying for the Pole's Card are driven by economic rather than patriotic reasons. A drop in the number of the Pole's Cards may have to do with visa-free regulations now I effect between Ukraine and the EU. The ambassador does not think Poland is using the cards as a tool of ideological expansion. "It may have been planned to use the card as a tool for expanding the Polish influence on Ukraine. But, in fact, the applicants go to Poland to work and do business there. And not to promote the Polish ideology in Ukraine at all," he said.